Go "paperless" using the FAA’s website to fill out the 8710 form, then email your ID and FTN# to us so that our ACR can finalize the information and issue your temporary. Warning: You MUST give our ACR team at least 3 business days to process your certificate prior to its expiration date, otherwise we cannot guarantee the renewal of your certificate. Mail us your signed graduation certificate, 8710 form, old CFI certificate, copy of your photo ID, and a notarized proof of identity. We'll do the rest and mail you the temporary. If you already have an American Flyers username & password, please login first. If you do not have an existing username and password please complete the form below. Expiration of Your Instructor Certificate. 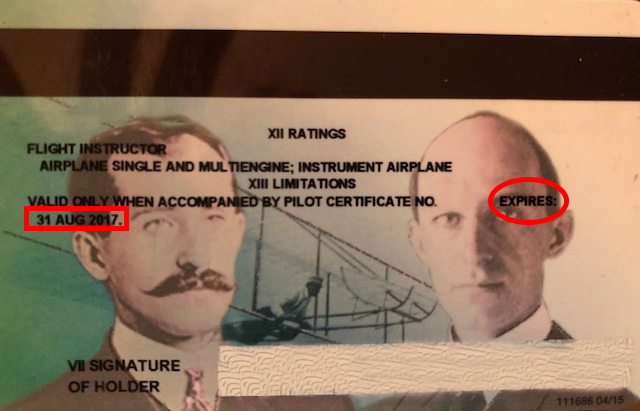 Questions concerning American Flyers FIRC approval and Training Course Outline can be emailed to the Chief Flight Instructor by clicking here.